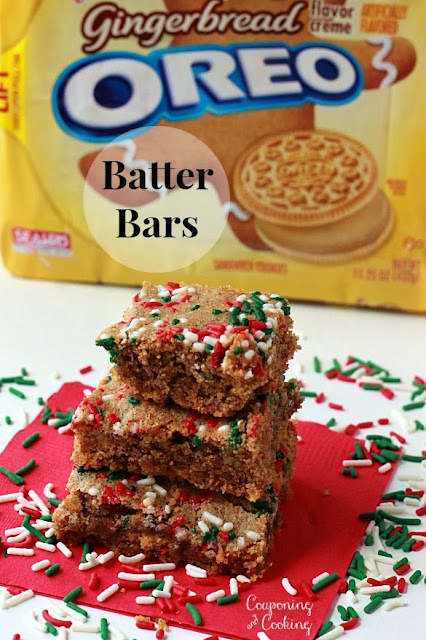 Sweet, spicy gingerbread cake batter mixed with crushed Gingerbread Oreos on a buttery graham cracker crumb crust makes for the perfect treat for your next holiday cookie exchange! 1.) Gingerbread makes me nostalgic. 2.) Bars are my answer to any dessert dilemma. 3.) I am a sucker for any and all holiday/limited edition flavored items. 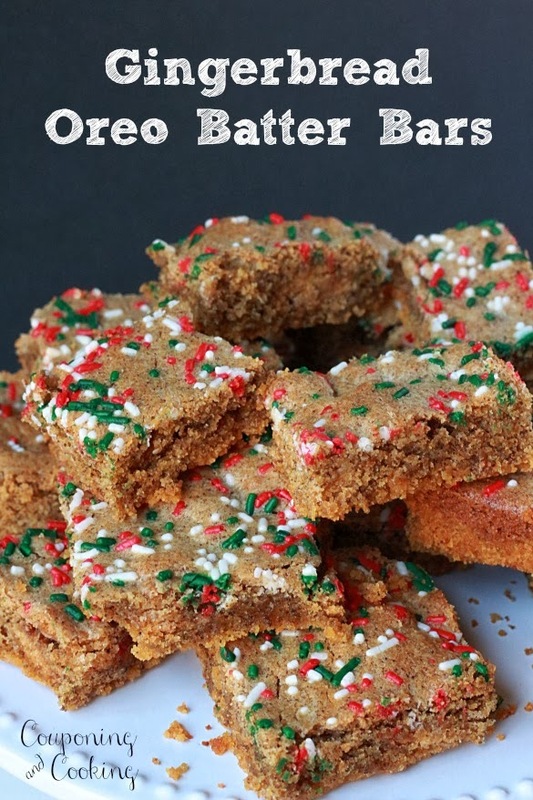 So it should be no surprise that my family enjoyed these Gingerbread Oreo Batter Bars for one of Thanksgiving desserts last weekend.Despite the fact that I have explained the whole "baking a season ahead" thing to my family, I found myself repeatedly answering questions like, "What are these again?" "Gingerbread for Thanksgiving? Isn't that more of a Christmas flavor?" and "Gingerbread Oreos? What are those?" Honestly, I am not sure that many of my family members even read my blog. If they had they would clearly know that Oreo makes every seasonal flavor known to man and that I obviously must try and incorporate each and every one of these flavors into a seasonal dessert. Duh. BTW, Candy Cane Oreo recipes are on the way. But really, these bars were the perfect dessert for after a big holiday meal. 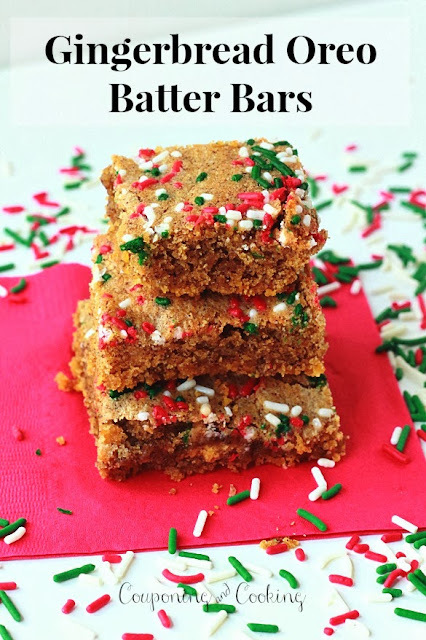 They are just rich enough without being overpowering and their sweet, spiciness is the perfect contrast to all of the heavy pies and intense fudge covered everything that tends to dominate the dessert table (please tell me your family has a dessert table too). So run out to the grocery store, buy every gingerbread flavored item in sight and make these dessert bars asap. 3.) In a large bowl, beat together the cake mix, eggs, and oil. 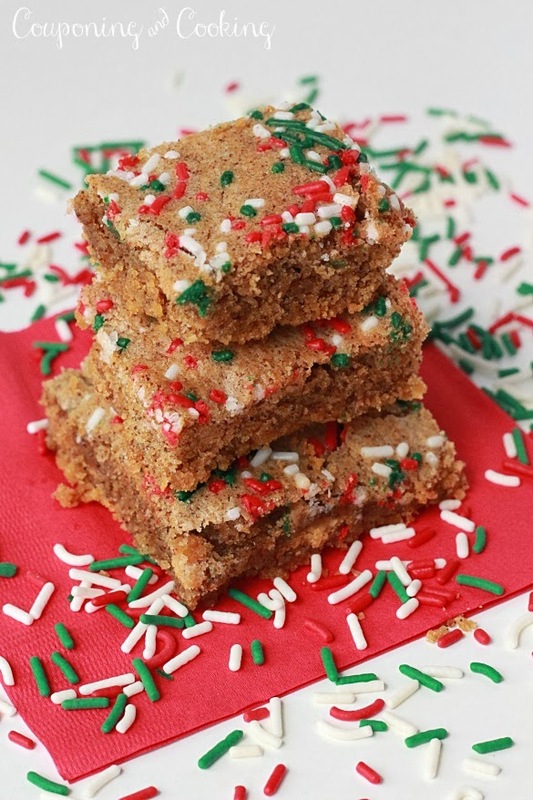 Want even more Gingerbread recipes? 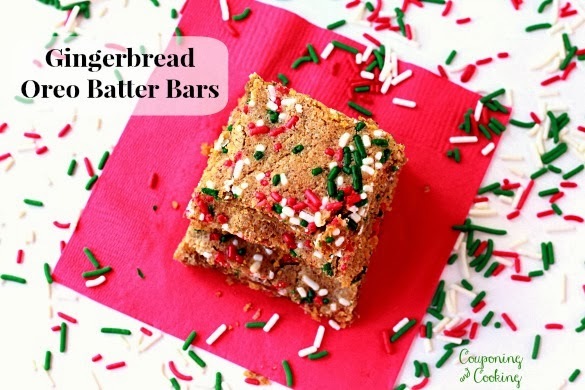 Make sure to check out my Gingerbread Treats Pinterest board!